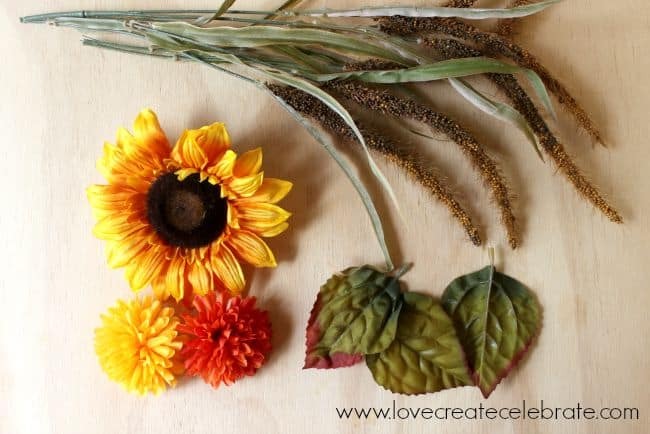 Next, I searched through my craft supplies for some fall foliage that I could add to the wreath. I added my faux flowers with a hot glue gun (although the epoxy mentioned above will work too! 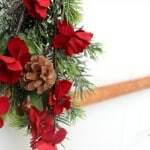 ), and added a thin brown ribbon at the top to hang the wreath. It’s been hanging on our door ever since I finished it, and it has definitely caught the eye of all of our guests! I like it so much, I’m trying to envision a winter version now… hope you like it too! 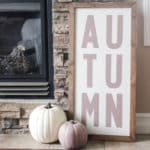 A group of 14 amazing Canadian bloggers are so excited to share a whole collection of autumn wreaths and we hope you feel inspired to create something of your very own! 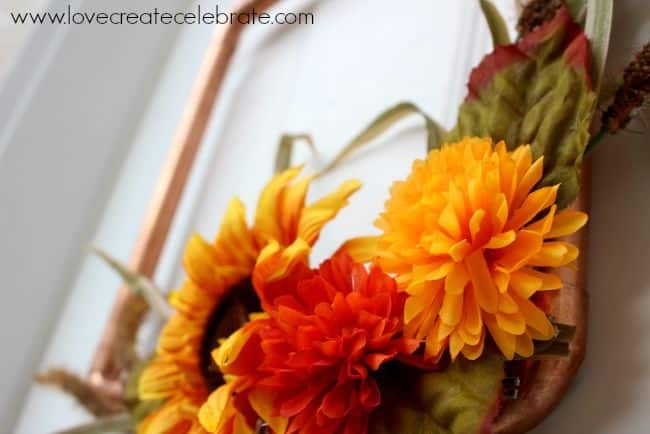 I did a creative variation of this wreath in my Fall Home Tour too! Be sure to check out the tour and see how I changed the colours! Wow! 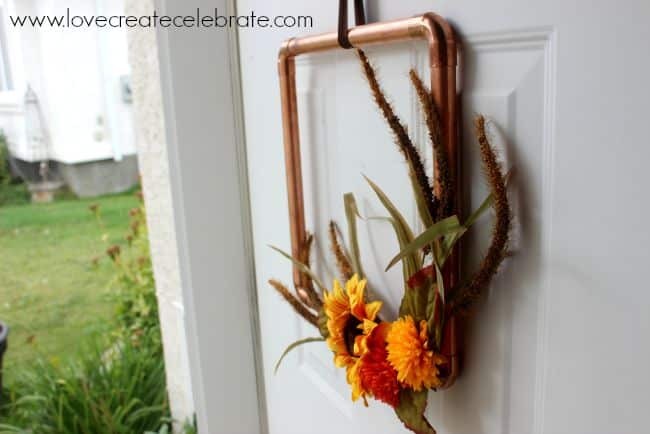 This is so creative with its copper pipe base. Love it! Thanks Heather! I didn’t know how it would turn out, but I love the results! What a unique idea!! Looks fabulous! Thanks so much Laurie!! I love experimenting with new wreath ideas! 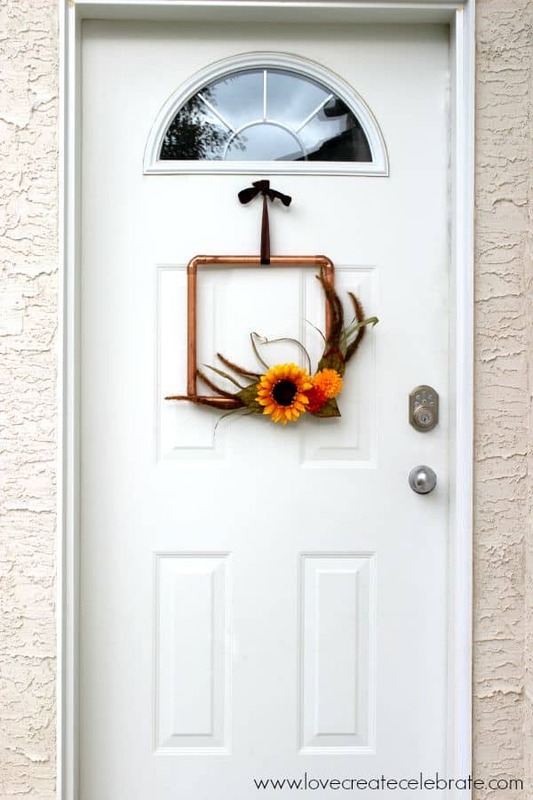 I love this so much….I think the copper pipe wreath is brilliant! You executed it perfectly Lindi! Thanks Angie!! I’m so glad you loved it! So unique! I’ll have to try my hand at this. Thanks! Thanks Stephanie!! 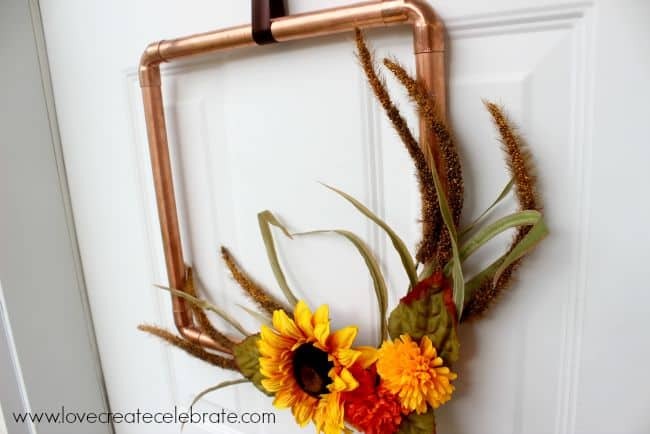 The copper pipe is so easy to work with! 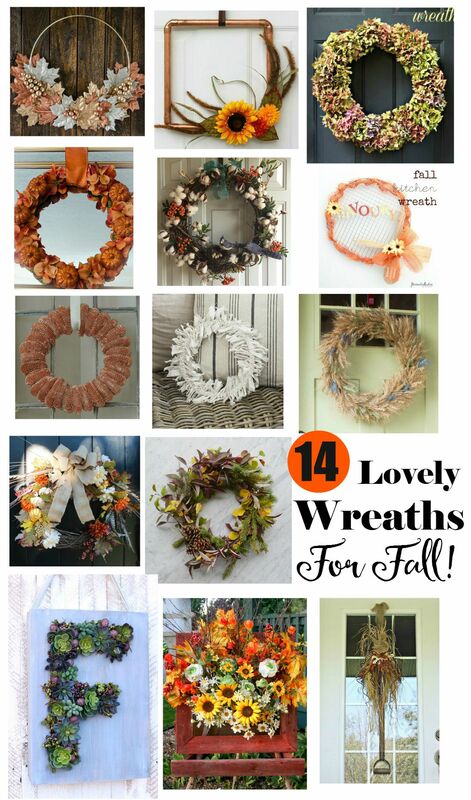 Love the copper wreath. 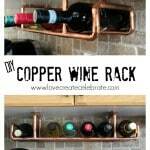 It would go well in my kitchen with old copper accents. I would give it some old patina. Good job! Visiting from TheDIYDreamer. Love the copper for fall! You make it look so professional and amazing. Great idea! I hear you Colleen!! 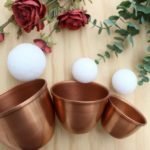 I love the look of copper in my kitchen too! Love the copper. The pipes look awesome as a wreath, such a great idea. Thank you so much! Glad you were able to stop by! 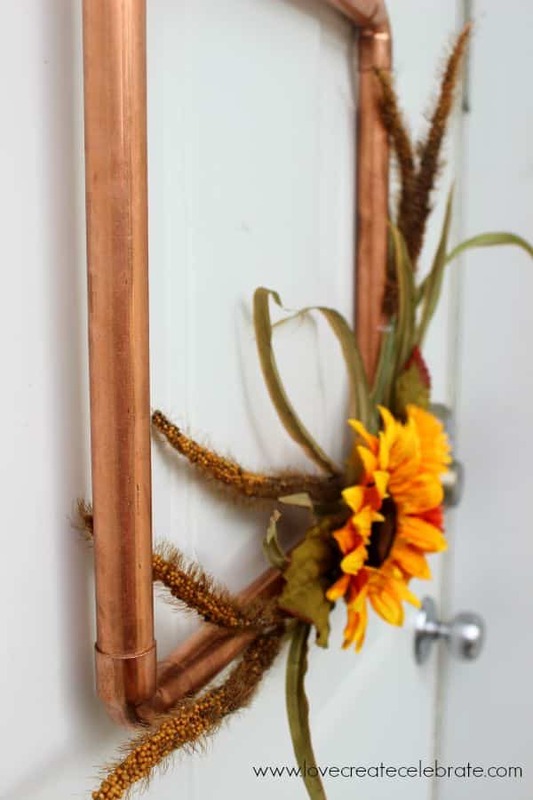 Such a smart way to re-purpose copper pipes! I love how versatile it can be by just changing out the seasonal flowers. I completely agree! I can’t wait to transform it for winter now! Copper IS perfect for Fall! This is such a brilliant idea, and your final wreath is so pretty!! Beautiful! I absolutely love the look of copper, and if it starts to patina, I love it even more. This wreath is so simple and beautiful. 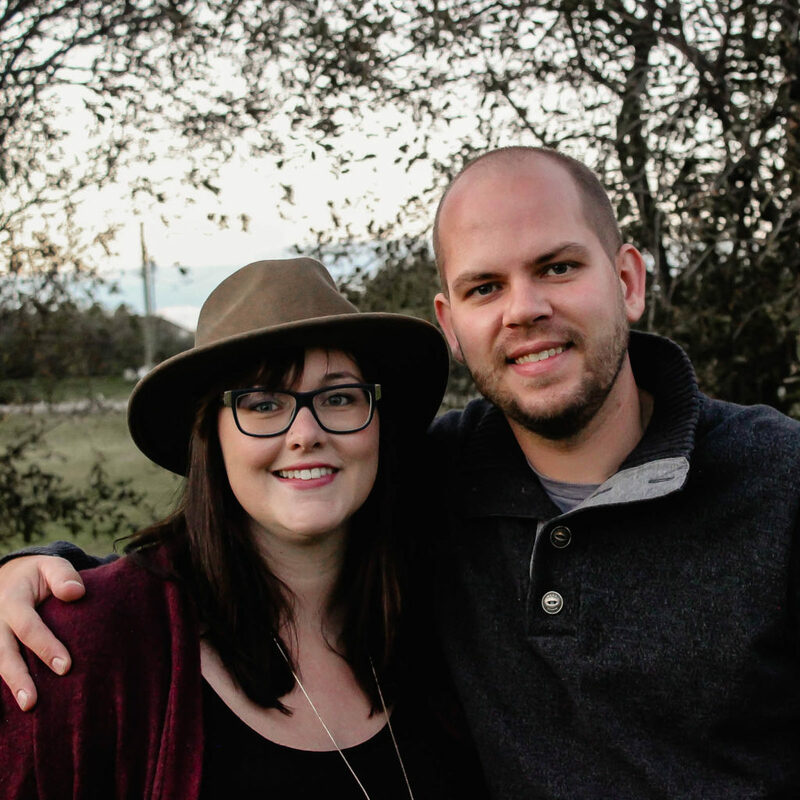 Thanks so much for linking up at the Wednesday Showcase! Haha, thank you Kati! 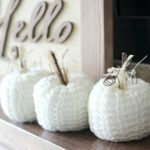 I never thought about hanging this inside, but it’s a great idea for an indoor decoration! Your wreath is so unique and so elegant. I love how used copper as the base and added the silk florals. The combination of a hard material and a soft material work so well to create a beautiful work of art. Lovely. I am curious to see what your Christmas variation will look like. Thank you for the invite :) Glad you liked the wreath! 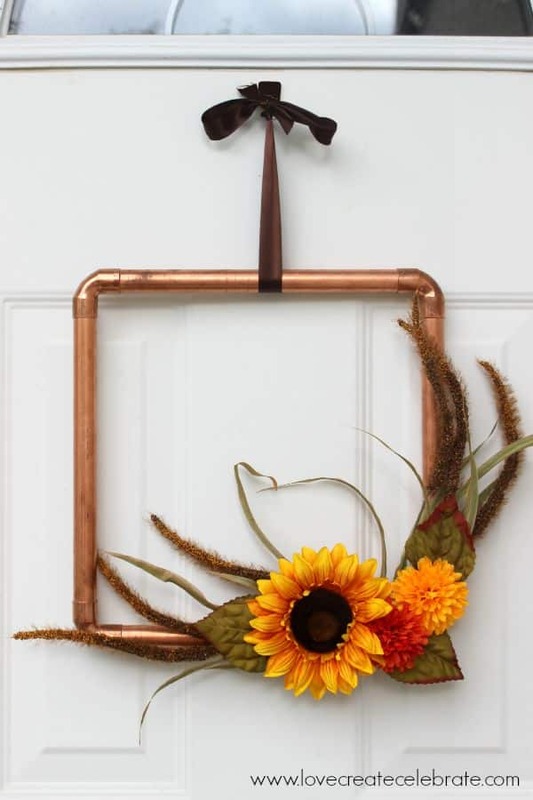 This copper wreath is absolutely gorgeous! Thank you for linking up at “A Little Bird Told Me” Wednesday link party! 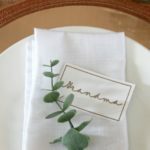 You have been featured on Mama’s Happy Hive blog. 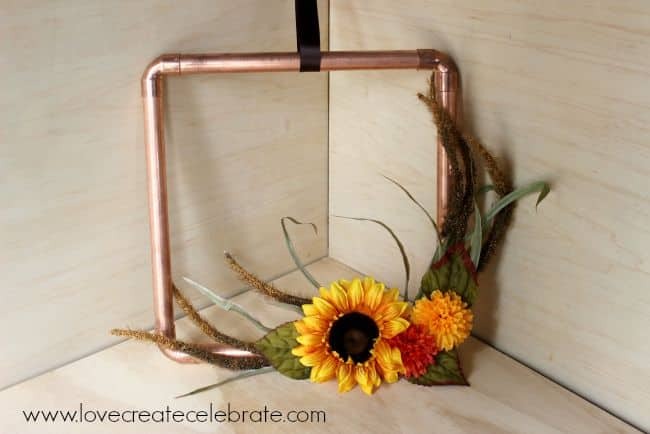 I love copper, especially with sunflowers. 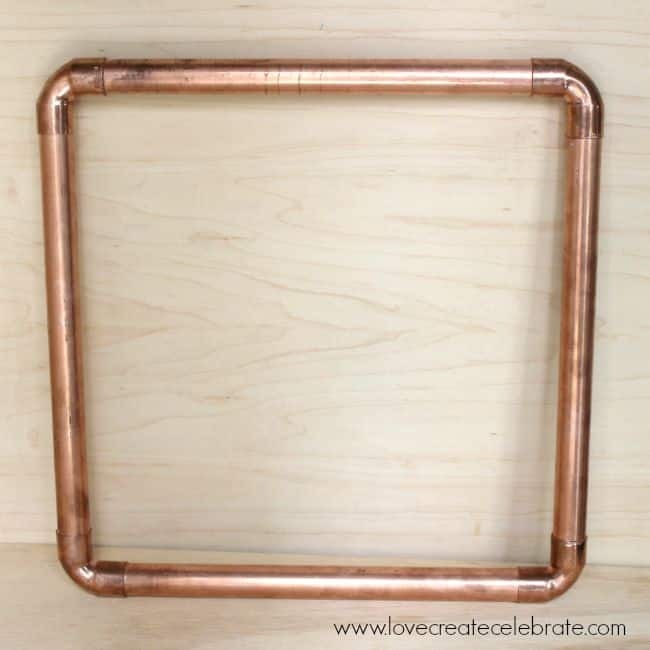 I’m thinking of using the copper tubing with evergreens for winter – sprinkle a little faux snow on it and some berries. 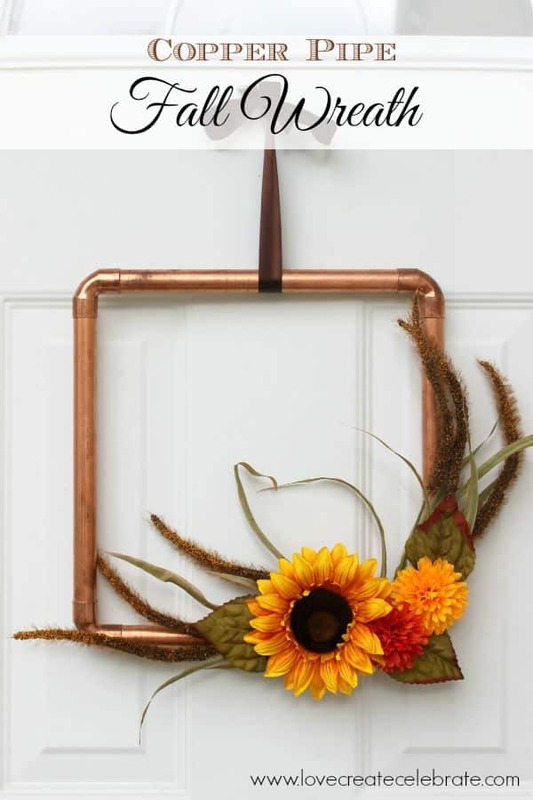 Love the simplicity and the creativity making a square wreath!!! Thanks Barbara! I actually made a Copper Wreath for Christmas as well. I’ll be showing it off on the blog soon. Stay tuned!